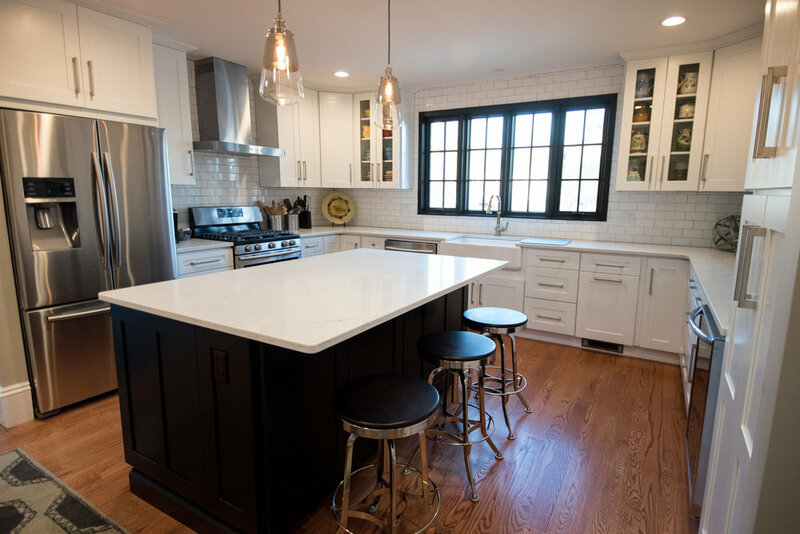 For this historic Watertown property our team completely re-imagined the existing space to change the layout of the kitchen, which was moved to the rear of the house. Seeking to brighten up the interior, we added a beautiful, large, mulled window, opening up the exterior wall and providing homeowners with a must-have backyard view. The kitchen features two complimentary styles of cabinetry – a modern white-glazed set for the main walls, and dark mahogany for the large center island. Elegant London Sky quartz countertops are just one of the special features built into this space. 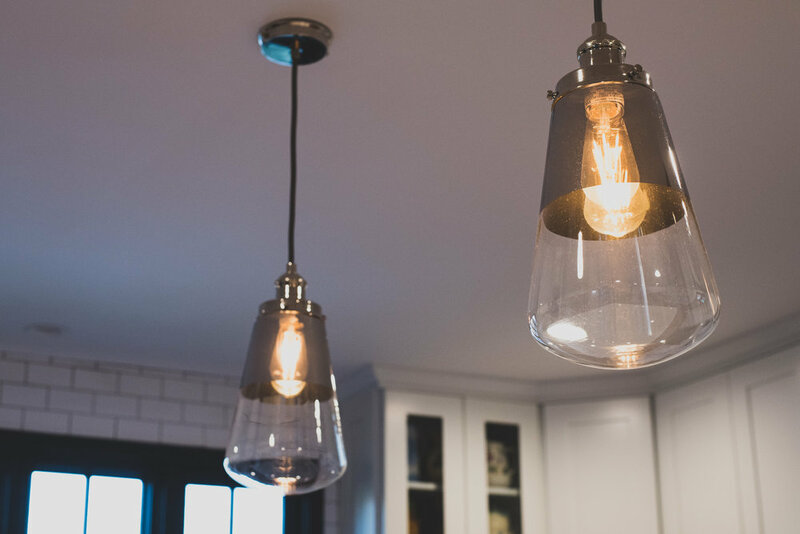 Other hidden gems include island bookshelves, a farmer’s sink, glass door facing with under-mount cabinet lighting, and ample recess lighting. 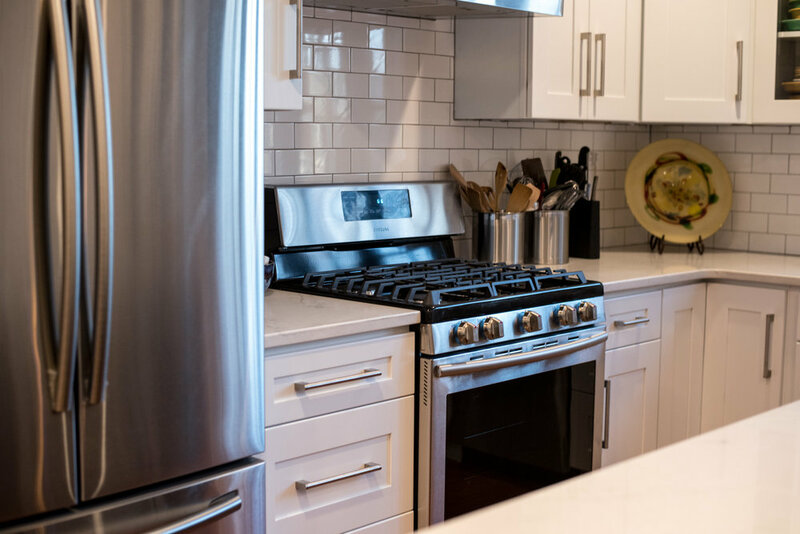 The kitchen also features top of the line appliances, including a built-in stainless steel microwave, spacious wine fridge, and gas stove, replete with steel hood vent. 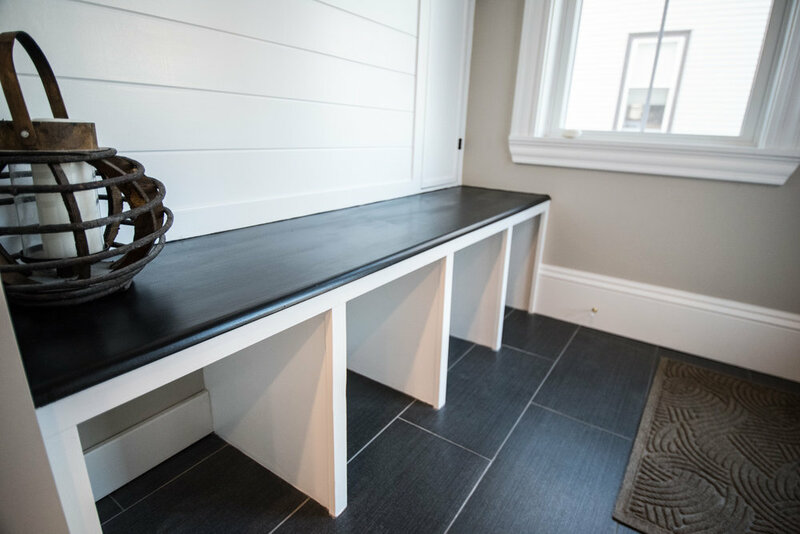 Moving the full bath to the front of the house, our team was able to include a classic and convenient rear entry mudroom into the remodel, with built-in storage space and a large window that lets in lots of light. 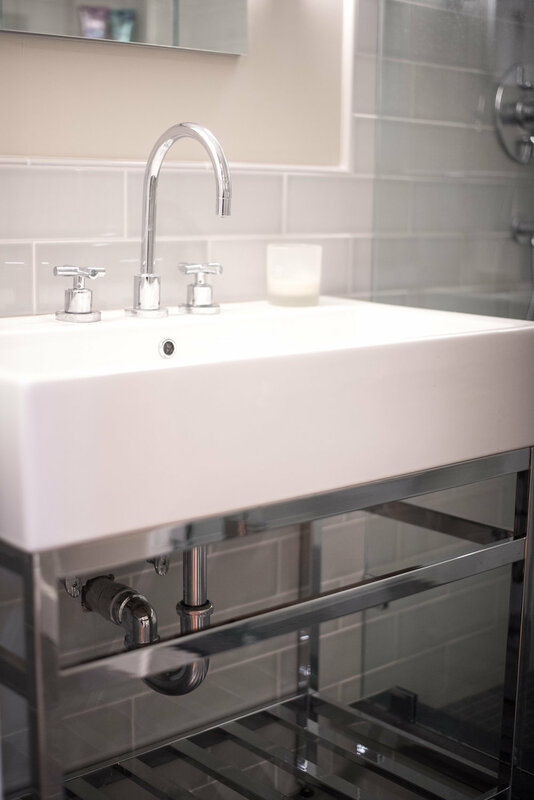 Designed to compliment the kitchen, the bathroom completes the industrial, modern feel to the remodel. 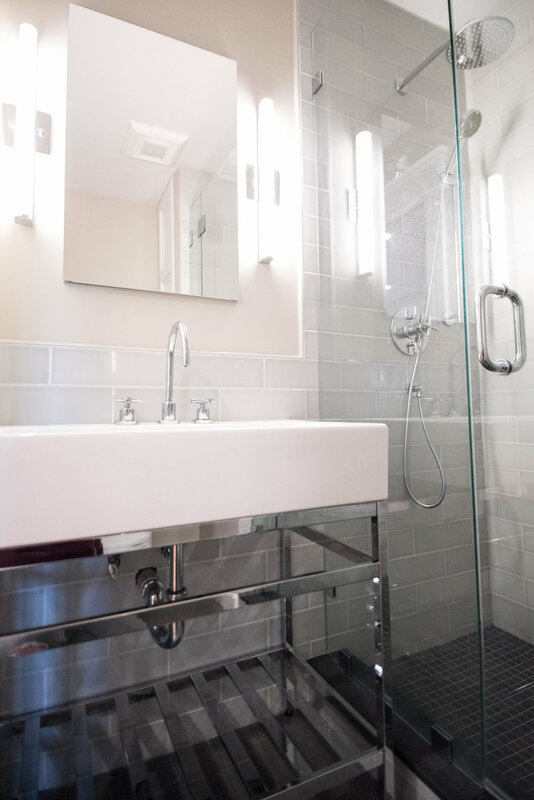 Opening through a pocket door, the homeowner finds a sink that sits on a steel frame with recessed mirrors and long vertical sconce lighting. 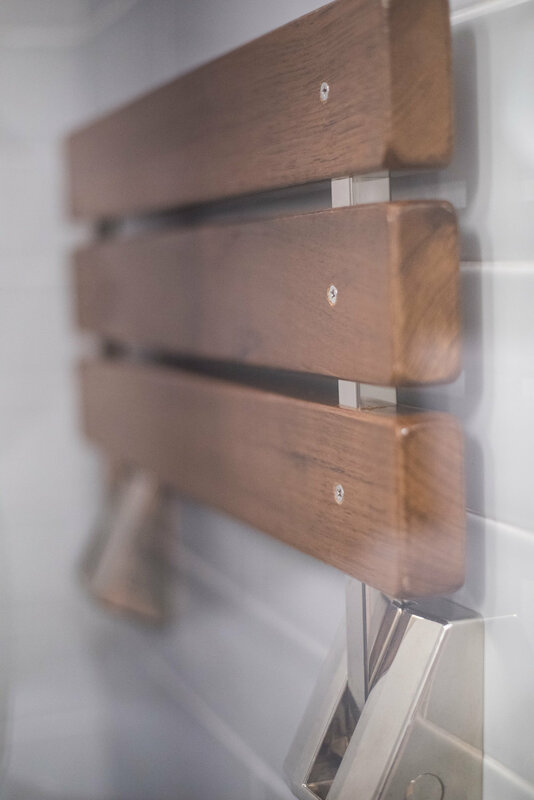 Glass subway tiles take over the walls of the stand up shower, with handheld spray and rain-head above. 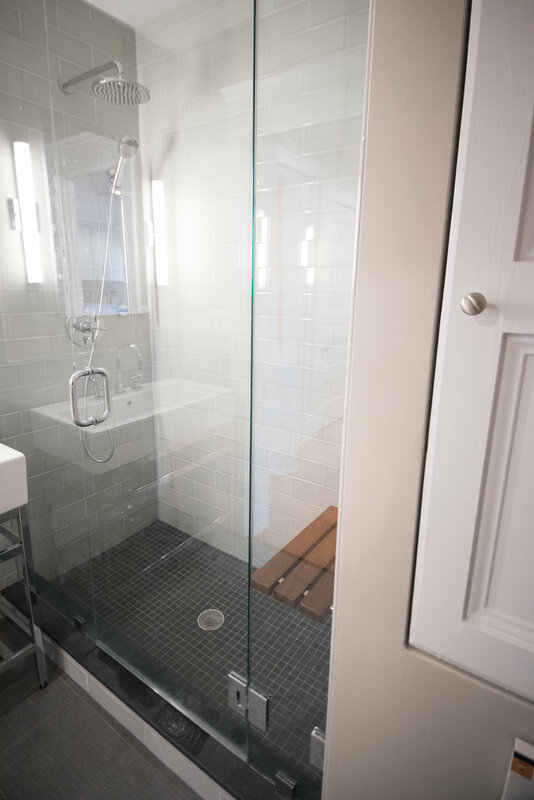 Included are custom built-ins for linens, because everyone can use a little more storage space. All estimates are provided free of charge. Get in touch using the form to the left, or contact us directly below to learn more about how we can help you with your project!